Design collaboration with Twhy Twhy - the maker of premium rice crackers - began in 2010. The project covered everything from the corporate identity to package design and store interiors. The overall identity and atmosphere combined modern Japanese aesthetics with Nordic simplicity. During this project the company and its products were prominently displayed on Japanese media and received awards from such organizations such as Nikkei and ACCJ. 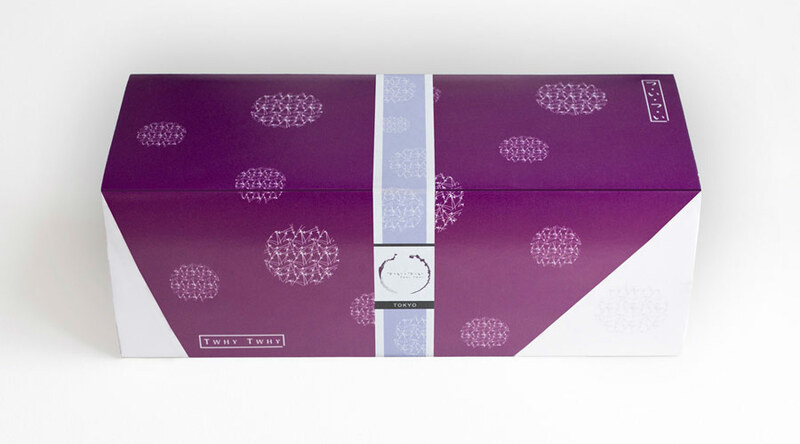 The gift box contains many of the key elements of the identity: purple red color, paper ribbon and pattern. The special set box uses pink color and large patterns. 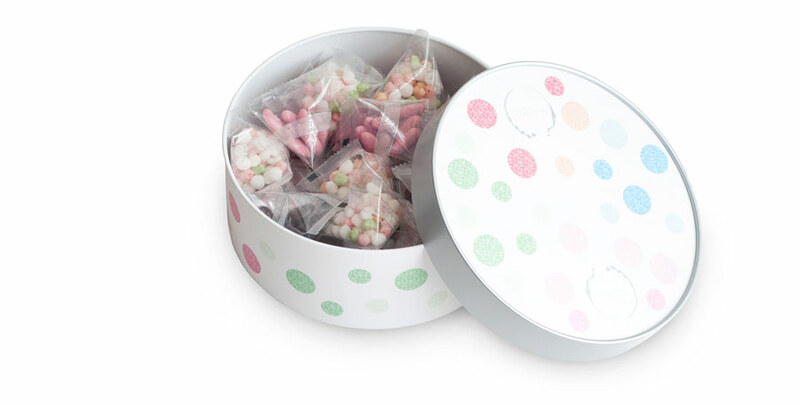 A round set box is used for seasonal sets together with tetra shaped packaging. Close-up of the tetra packages. Since 2013 Twhy Twhy also sold rice the rice that made its products delicious. The rice packages were branded to convey a slightly different feeling than the rest of the brand.